Thinking about getting some lawn turf installed in your home, but can’t find the company to do it for you? That is because you don’t know what makes a good turf company. But we do! And in order to help you during this draining process, we have four things that make a good turf company. One key thing that makes a turf company stand out is the options they provide their customers. 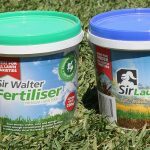 Too many companies just offer one standard type of turf – and that is not going to go down well with customers. 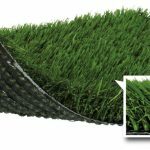 So the more turfs on offer that are available, such as natural and cheap synthetic grass in Melbourne, then the better the company. Why? Because it shows they can handle, create and provide all types of turfs. Making natural or synthetic turf isn’t easy. It is a long drawn-out process that is going to take time to ensure it is perfectly made. So when it comes to looking for a turf company, their experience in making turf is essential. How do they do it? How many years have they been making turfs for? These are the questions you should be asking the company, as well as yourself. The answers you get will determine whether the company is of a high standard or not. Number Three: Do They Offer Installation? You should also ask about whether they can provide you with installation services. You can try and put the grass in yourself, but it is struggle. So ask if the installation comes with the price and the service. This is very important, so you want to make sure you have the beautiful looking turf in your home. For all natural and artificial turf installation in Hoppers Crossing contact the passionate experts at Brisk Turf! There is always a fear that you might be overpaying for turfs. That is why you should be looking across the board and finding the best price for turfs and for the quality that comes with it. So when you speak to turf making companies, don’t settle on the first one. Take your time, look around and see if you can find one that is going to provide you with high-quality turfs for fantastic prices. Then you’ll see a good turf company in the flesh.